Seeing a new doctor can be a hard decision. For that reason we offer free 15 minute visits either by phone or in person to see if we are the right fit for you. Simply fill out the form below and we will call or email you to setup a time for the visit, or call us at 919-695-2206. Make the choice to start feeling better today. 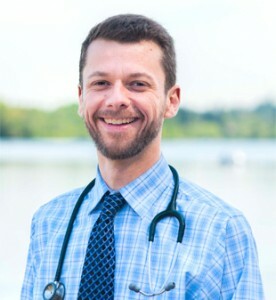 Free consultation with Dr. Matthew Strickland, N.D. Still Have Questions about whether seeing Dr. Strickland is right for you? Listen to Haylee’s Story.